The first of the three Ardennes Classics takes place this weekend, with the peloton heading to the Netherlands for the 50th edition of the Amstel Gold Race on Sunday, April 19. This is one of the biggest races of the spring, and, as the only exclusively Dutch race in the WorldTour, is the leading Netherlands race in the calendar. Given that status, anyone unfamiliar with the race will be surprised to learn that it is in fact characterised by its constant climbing – over 30 classified climbs in total – rather than the flat roads the nation is associated with. None of those 33 climbs are at all long (all in all they amount to a total of over 4km of climbing, approximately 120 metres per climb), but occur with such relentless frequency that a wearing down process takes place through the lengthy 258km route. Added to the various awkward road furniture the riders must negotiate with, this is one of the more stressful races of the season. Of all the climbs en route, the Cauberg stands tall as the landmark the race is synonymous with. 71 metres high, 1.2km long, an average gradient of 5.8% and steepest sections at 12% – these numbers aren’t eye-wateringly tough, and indeed the riders won’t feel so bad the first time up early in the day. But by the time of the second ascent they’ll have the collective pain of 20 climbs in their legs, and another half a dozen-or-so by the third ascent, before the fourth and final time up marks the end of the day’s climbing. The top of the Cauberg also used to be where the race finished, but it moved in 2013 to just under two kilometres after – an alteration that was much needed to inject the race with a sense of unpredictability following a decade of editions almost exclusively ending in large sprints up the Cauberg. 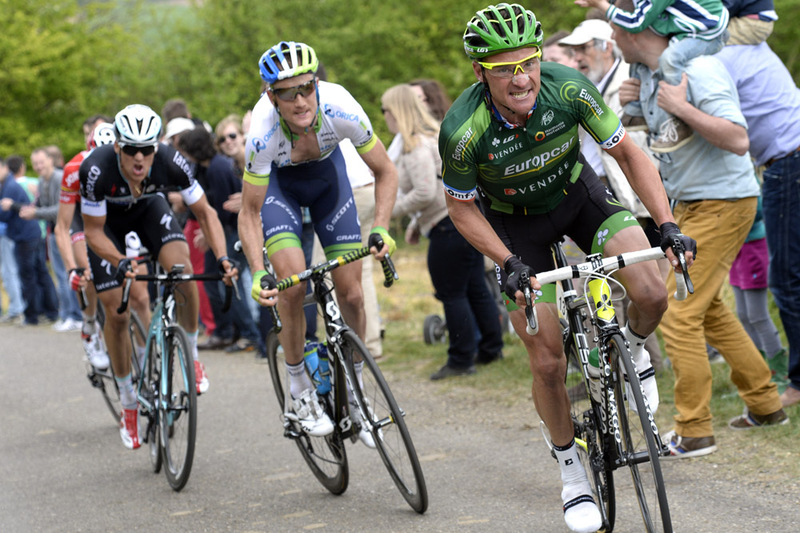 As a result, the selection was made much earlier in 2013 when eventual winner Roman Kreuziger broke clear in a small group with 17km to go, and although 2014 reverted to type with Philippe Gilbert attacking for the win on the Cauberg, riders now go into the race knowing that there are other ways to win aside from waiting for the final climb. British interest is limited this year to just Russell Downing (Cult Energy Pro Cycling) and Peter Kennaugh (Sky), of whom the latter will likely be riding in support of Sergio Henao. The little Colombian showed some of his best form for a couple of years at the Tour of the Basque Country earlier this month, and although the Cauberg may not quite be steep enough for his particular climbing talents, he’s certainly a contender. Then there’s Irishman Dan Martin (Cannondale-Garmin), who has proven himself to be one of the top riders for hilly classics in the peloton in recent years. He’ll likely be one of several big names vying for victory. The World Champion has already impressed this season with plenty of aggressive racing, most memorably at Paris-Nice where he finished second overall, but the Amstel Gold is the first race he’ll go into as an outright favourite. In the last two years he has finished fourth and fifth, and should go better this year as he continues to improve with age. If Valverde can bring the form that saw him claim three stage wins at the Volta a Catalunya last month he’ll be difficult to beat, but the Spaniard rarely rides with as much dominance in the bigger races. This remains the only Ardennes Classic he has never won, although he has got very close – fourth last year, third in 2008 and second in 2013. 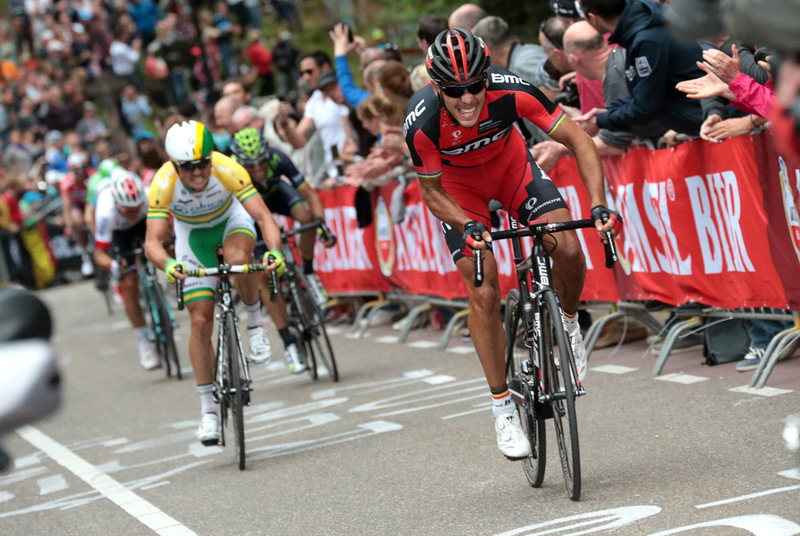 While Gilbert’s powers have diminished in most areas of cycling, he remains king of the Cauberg, having won here last year to make it three victories in the past five editions – not to mention the World Championships he won when held here in 2012. He may lack form, but had a similarly slow start to the season before winning last year. For a rider so renowned for his vicious uphill sprint, Rodriguez has won a surprisingly small amount of Ardennes Classics – just the 2012 Fleche-Wallonne, in fact. Now aged 35 time is running out for him to win a first Amstel Gold, although his first overall victory at the Tour of the Basque Country last week proved that he’s still capable of achieving new landmarks. With a final cimb not as steep as at the Fleche-Wallonne and an overall parcours not as difficult as Liege-Bastogne-Liege, this is Martin’s least favourite Ardennes Classic, and he has in fact failed to finish each of the last two editions. He’s part of a strong-looking Cannondale-Garmin team hoping to improve upon a slow start to the season, that also includes Tom Jelte-Slagter and Ramunas Navardauskas. 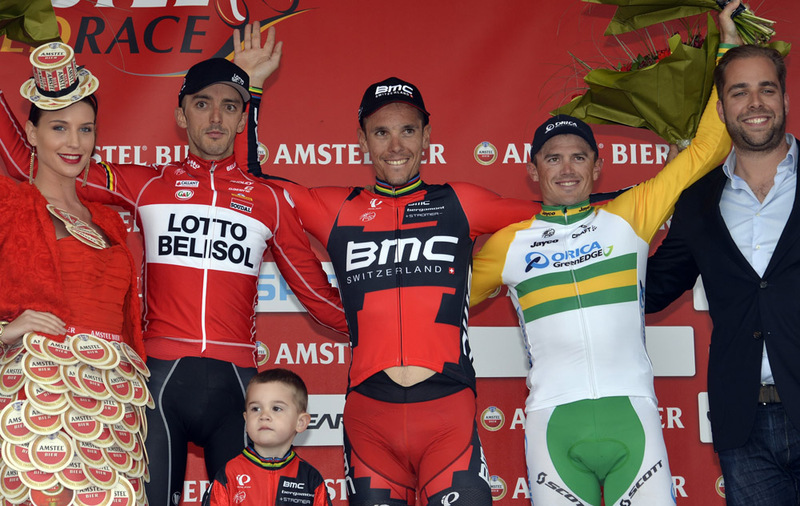 Usually Orica-GreenEdge line-up with 2012-winner Simon Gerrans as their leader, but the Australian is still recovering from an injury that has forced him out of most of this season. As such, his compatriot Matthews looks likely to be leader, whose fast sprint will be a threat if he can limit his losses on the Cauberg and catch back up to the leaders for the finish.